Since when did you restart Windows on your PC? …started my computer and it went ON, ON and ON. Infact, it is still ON with no near possibility of a restart. Weird? Well, most of us are lazy enough to reboot Windows and keep it running for a long time. We never bother to check for how long computer (or Windows) has been running continuously. Full support of Windows XP Themes. The program options are now saved. 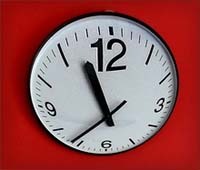 Show the time in days, hours, minutes, seconds format.